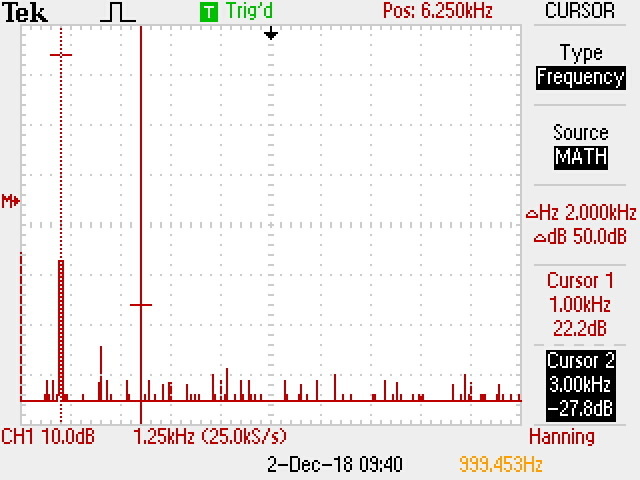 Around a month ago my old micro Hi-Fi system wouldn't turn on. I got a Sony CMT-CP11 as a gift from my parents way back in 2000 and it had served me well. I really liked the fact that I had a service manual for it with complete schematic, and over the years it accumulated a few hacks and fixes. It did start to show its age though. For example, the original remote no longer works because its phenolic paper-based PCB had deteriorated. Unfortunately, it seems that now the mains transformer had died as well. I spent some time searching around the web for a replacement, but couldn't find any. I contemplated rewinding it, but doing that on a mains transformer seemed too risky. Finally, I gave up and just bought a new system (however, if anyone knows a source for a Sony part 1-435-386-11 or 1-435-386-21 I would still be interested in buying one). Image by D&M Holdings Inc. This a bit less than CMT-CP11, which was rated 35 W at the same conditions. Not that I care too much about that. I doubt that I ever cranked the Sony all the way to full volume and I'm not very sensitive to music quality. Most of my music collection is in lossy compressed files anyway. However, I was still curious if Denon meets these specs. Unfortunately I didn't have big enough 6 Ω resistors at hand to use as dummy loads. I improvised with a pair of 8 Ω, 60 W banks I borrowed from my father. I connected these across the speaker outputs of the Denon and connected a scope probe over the left one. 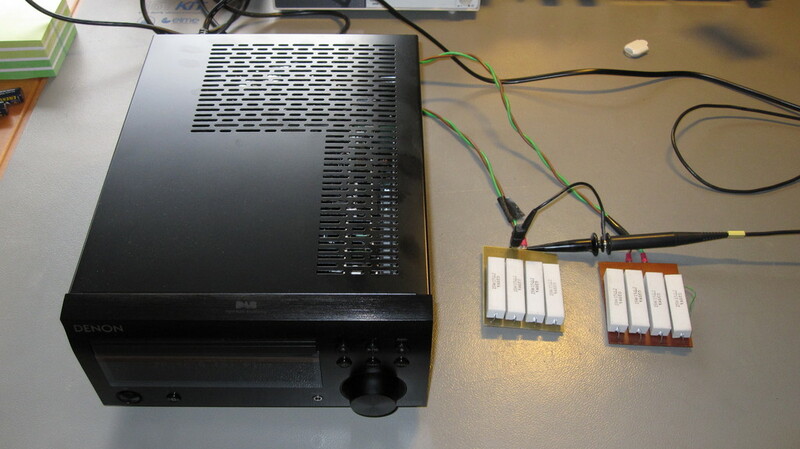 To provide the input signal I used the Bluetooth functionality of the RCD-M41DAB. 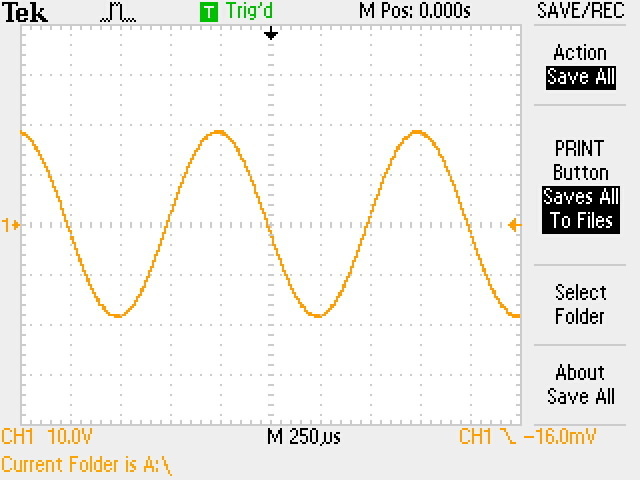 I paired my phone with it and used the Keuwlsoft function generator app to feed in a sine wave at 1 kHz. I set the app to 100% amplitude, 100% volume and also set 100% media volume in the Android settings. I then set the volume by turning the volume knob on the RCD-M41DAB. 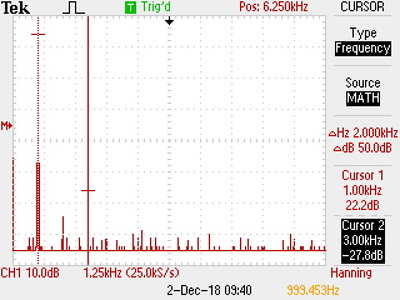 For comparison, I also measured the THD at the unloaded line output of a cheap Bluetooth receiver. I used the same app and measurement method and that came at 0.07% THD. So what can I conclude from these measurements? 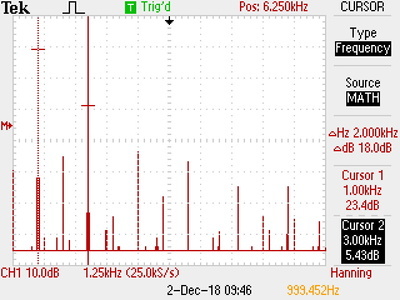 First of all, I was measuring the complete signal path, from DAC onward, not only the output stage. 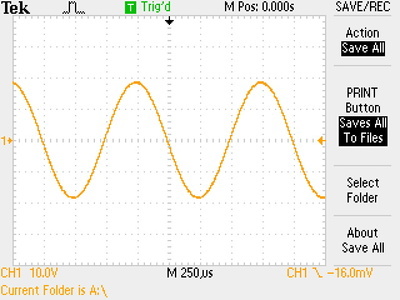 Before saturating the output I measured 0.3 % THD at 22 W, which I think is excellent. According to this article, 1% THD is around the level detectable by an untrained human ear. 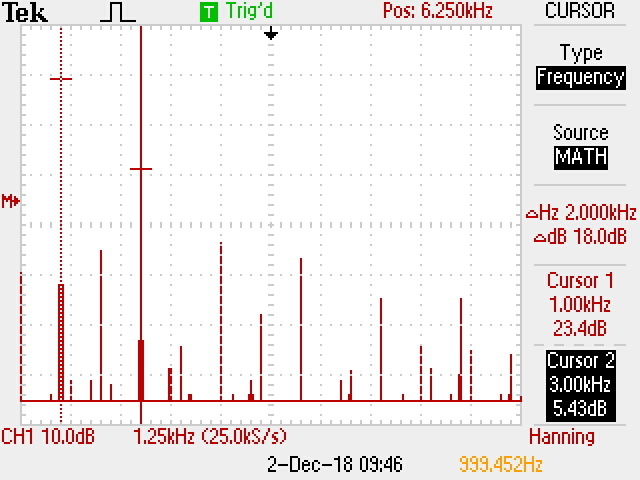 I couldn't achieve 30 W at 10% THD. However, I wasn't measuring at the specified 6 Ω load. 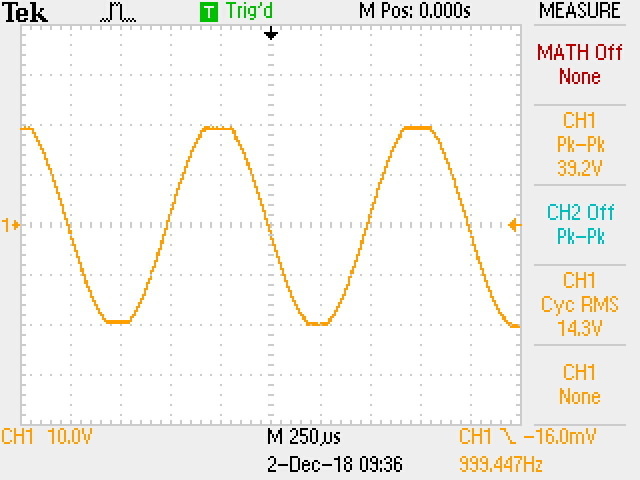 If I assume that the output stage would saturate at the same peak-to-peak voltage at 6 Ω load as it did at 8 Ω, then it would output 32 W at a similar distortion. This would put it well below the specified 10% THD. Whether this is a fair assumption is debatable. 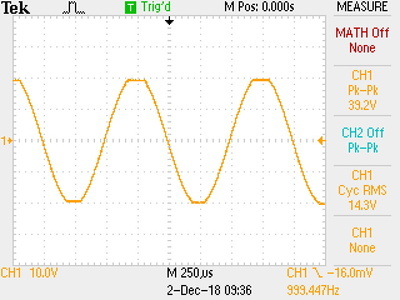 I think the sharply clipped waveforms I saw suggest that most of the distortion happens when the output stage supply voltage is reached and this is mostly independent of the load. That said, the volume setting I found comfortable for listening to music is around 10, so I'm pretty sure I won't ever be reaching the levels where distortion becomes significant.